Free Shipping Included! 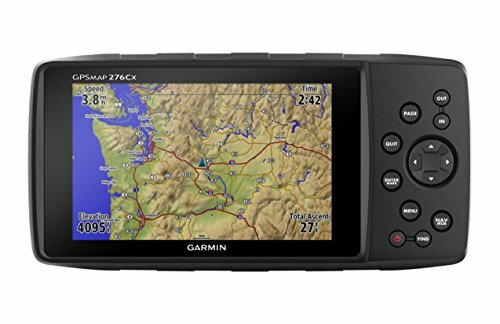 Save 1% on the Garmin GPSMAP 276Cx by Garmin at Freedom from Government. MPN: 010-01607-00. Hurry! Limited time offer. Offer valid only while supplies last. Versatile GPSMAP 276Cx all-terrain navigator has been renewed with advanced GPS and GLONASS reception to track position in challenging environments. Versatile GPSMAP 276Cx all-terrain navigator has been renewed with advanced GPS and GLONASS reception to track position in challenging environments. Includes a large, sunlight-readable 5-inch screen plus built-in barometric altimeter and 3-axis compass. Preloaded worldwide basemap and free 1-year BirdsEye Satellite Imagery subscription. Advanced mapping, connectivity and flexible mounting options are available; water-rated to IPX7. Dual-power options include AA batteries or rechargeable power pack.